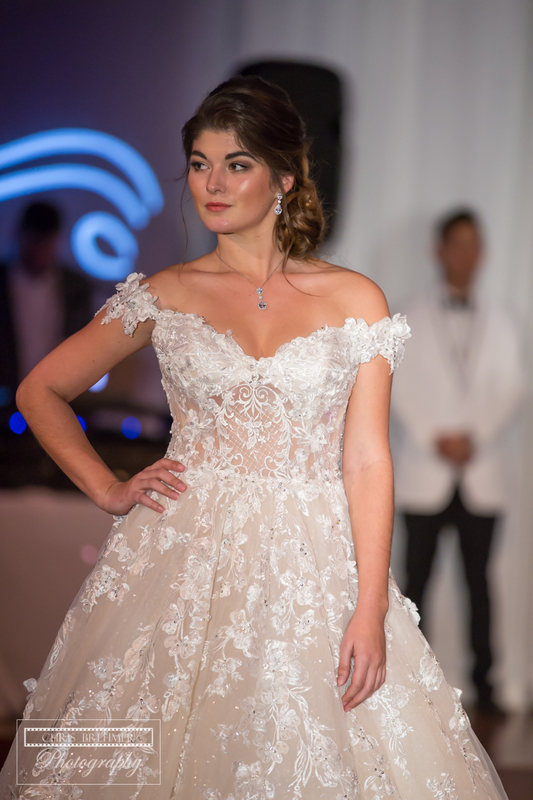 We had a great time photographing the Wilmington Weddings and Events 2018 Bridal Fashion Show. All the vendors involved did an amazing job. And let's not forgot the beautifully stunning models who made the dresses come to life. 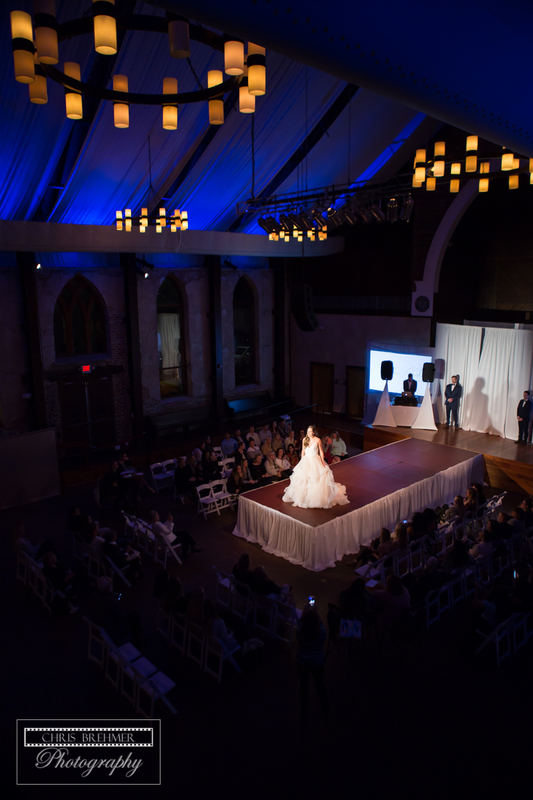 This was the 2nd annual Bridal Fashion Show presented by Wilmington Weddings and Events and if you were there then you know how much of a success it was and how beautiful everything was. And if you weren't, well don't worry we have some fantastic images from the evening. The night was presented by Wilmington Wedding and Events and hosted by the extraordinary venue The Brooklyn Arts Center. The ambiance of the evening couldn't of been made complete if it wasn't for Excellence Light and Sound for their great job of lighting the runway. As with visual ambiance there is usually a balance of audio ambiance to the set the stage, all pun intended! DJ Brian Hood provided a great sound for the models to strut their stuff down the catwalk. These two elements created the perfect harmony for a stellar show. Now the whole reason for the event was to showcase all the amazing dresses that were brought out and paraded down the runway. These dresses were provided by the three big wedding dress shops in our area. 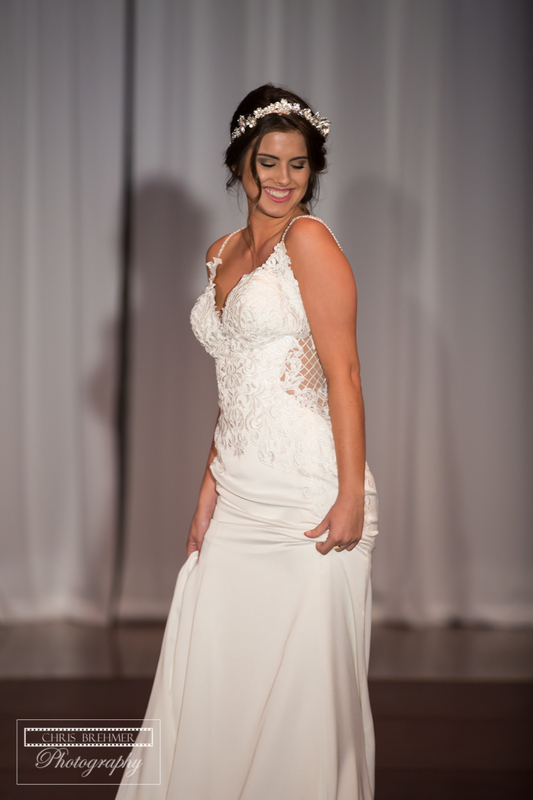 We had Coastal Knot Bridal Boutique bring their dresses out first and wow they did bring some gorgeous dresses. 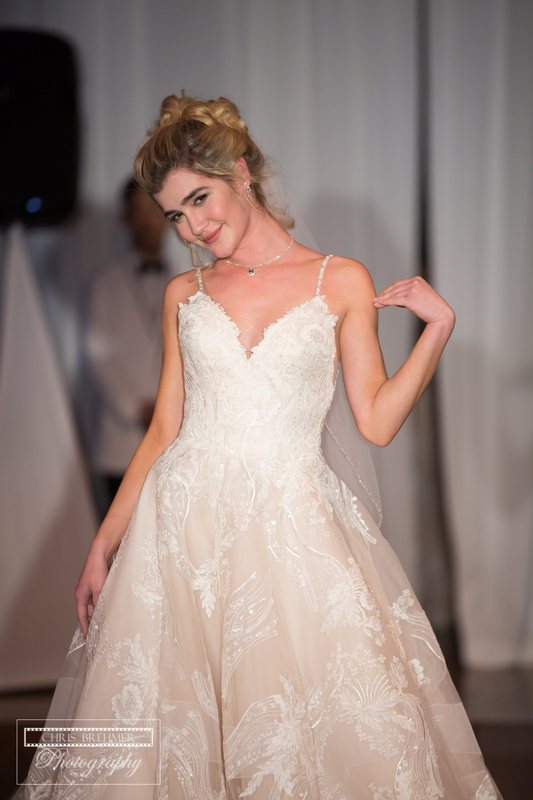 Second we had The Wedding Dress Shoppe showing us how beautiful a bride can look in a variety of stunning wedding dresses. 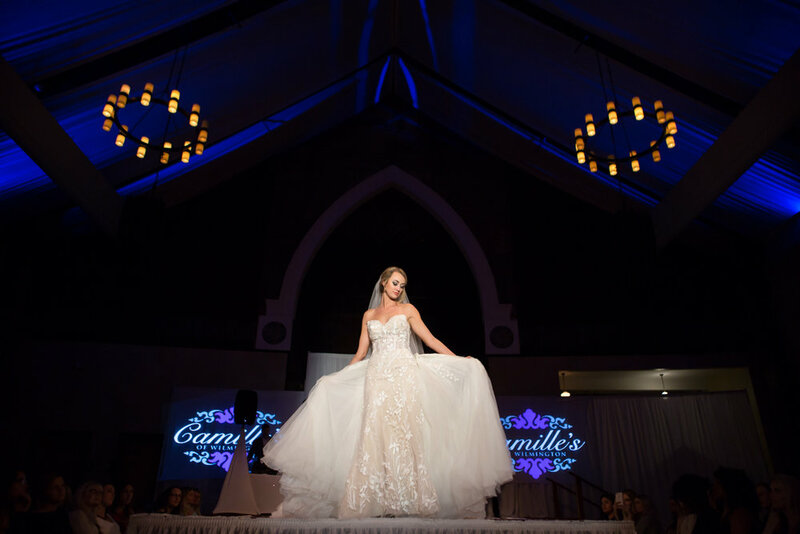 Last but most certainly not least, Camille's of Wilmington took their dresses to the runway displaying yet another round of just how beautiful you're wedding dress could look. As with the dresses looking amazing so did the beautiful ladies who took them down the runway with such grace and elegance. The women were made beautifully stunning by the great hair and make up done by Kreashenz's Salon and Spa. Their style of work complimented everything that was already glowing and stylish from the other vendors. The night was topped of with great hor d'oeuvres provided by the tasty ART Catering & Events. They had the perfect selection of snacks to sate the appetite. The energy that the filled the room was electrifying and we tried to capture that energy the best we could in our photography. The models were beautiful, the dresses breath taking and the venue nothing short of charming and grand. We want to thank everyone involved because it gives us chance to be more of a part of the wedding community we cherish. These people are not just vendors but people we like to call friends. We can't wait until Wilmington Weddings and Events post the rest of the images. Until then here are 4 teasers!